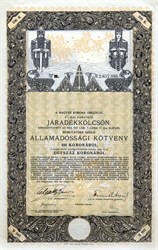 BeautifulBond Certificate for 100 Crowns at 6% from the Kingdom of Hungary issued in 1916. 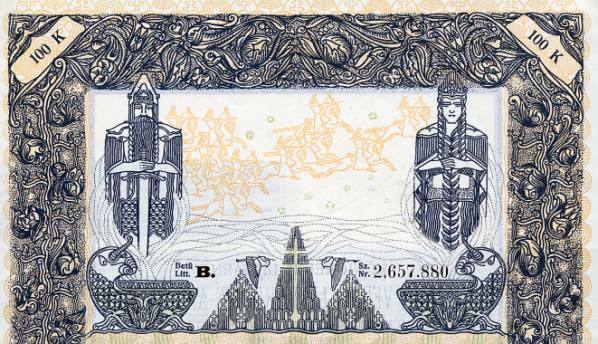 This historic document was printedin Budapest, Hungary and has an ornate border around it with a vignette of a King and Queen with soldiers in the background. This item has the signatures of Hungarian Officials and is over 89 years old. The bond is written in Hungarian, French and English. The Republic of Hungary is a landlocked country in Central Europe, bordered by Austria, Slovakia, Ukraine, Romania, Serbia, Croatia and Slovenia. It is known locally as the Country of the Magyars or Magyarorsz�g.